Located on one of the islands along the Venetian Causeway off Miami Beach, the Standard Spa is perfect for organic falalfel eating, kaftan wearing types, and actually anyone else with an eye for the aesthetic and a sense of style. There are 150 rooms in low-rise buildings and each has a pathway leading out to the meditation garden and the gorgeous infinity pool. There are quite a few room categories, ranging from a standard garden room to a Bay View Suite. Top of the pile, though, are the bath terrace rooms, which pretty much do what they say on the tin - with baths on the terrace (with a curtain across for a little more privacy). The rooms themselves are simply designed with wooden floors, raised white beds, gossamer curtains and a great airy feel. The idea is that guests only really use the rooms to sleep in and spend the rest of time in the spa and other common area. The food across the board is designed to be healthy and wholesome and the Lido Restaurant & Bayside Grill is inspired by traditional Mediterranean diets and lifestyles, with a menu filled with organic meats and fish, olive oil, fresh herbs and bio-dynamic wines. The Standard offers an enormously vast array of activities, spa treatments and workshops. From acupuncture, life coaching, Pilates, pedicures and massages to a steam room, hammam, sauna, infinity pool (overlooking Biscayne Bay), plunge pool, hot tub, paddle boarding, fitness centre and bikes to rent. There is a beautiful garden with swings and a fire pit, a mud lounge designed for those who like the idea of covering yourself in clay and finally a great little shop in the lobby selling super cool brands of sunglasses, swimwear and gifts. 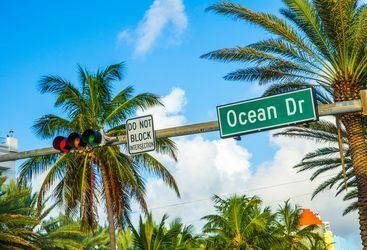 An adventure in the city of Miami, where you will experience art, culture and trendy hotspots, as well as the iconic South Beach. COMO’s first foray into America, Metropolitan by COMO, Miami Beach is a new luxury hotel in, as the convoluted name suggests, Miami. Will and Kate B are our 'The Standard' experts and as seasoned travellers they have the inside track on the most memorable adventures.